This month's #BloggersWhoBudget collab is all about prints and patterns with a budget of $100 or less. 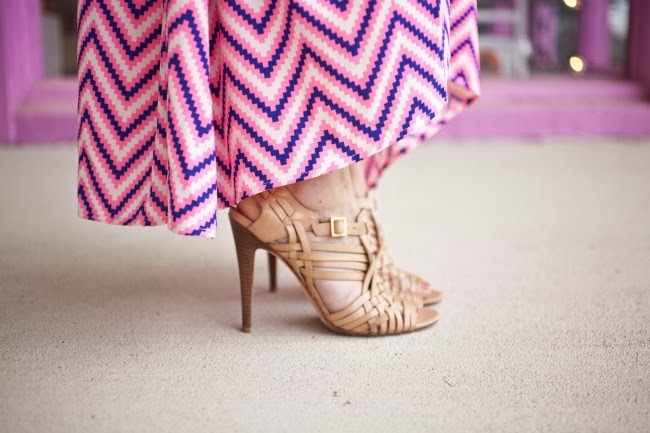 This Pink Stitch Maxi Dress (can also be found here) caught my eye immediately when I first spotted it. For all you local ladies, I snagged it at Pink Hanger in Charlotte. Not only is the print great, but the dress has a billowy silhouette which is only made better by the uneven hem. 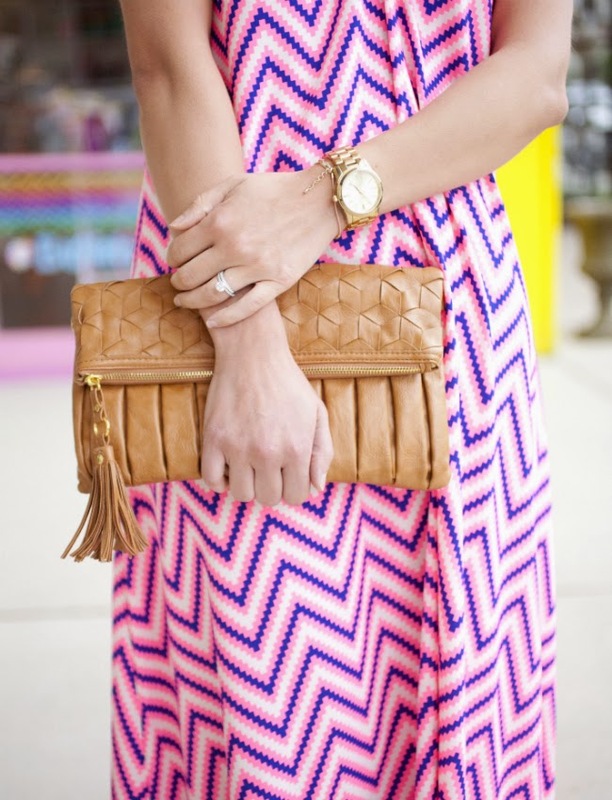 This may be my first zig zag printed maxi dress, but it won't be my last. 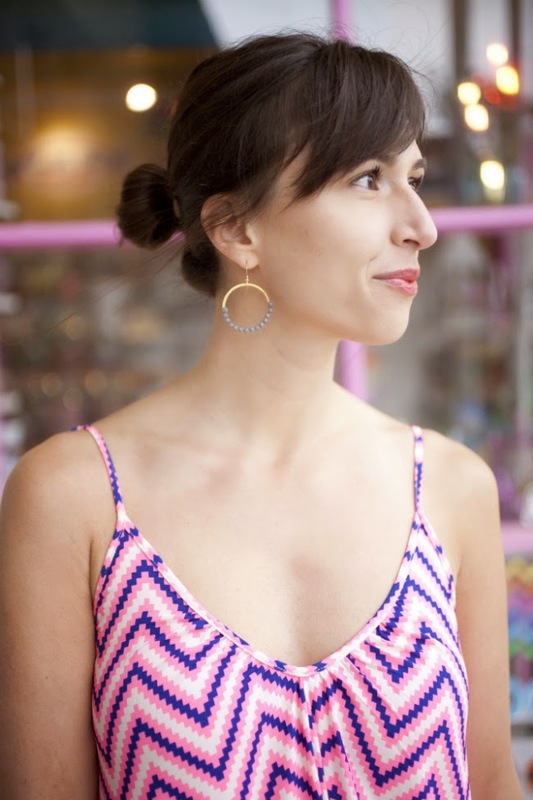 These killer hoop earrings are from Poppy Style. 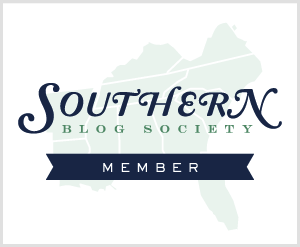 Their collection is filled with gorgeous handmade pieces from right here in Charlotte, NC. If you don't live in Charlotte, don't sweat it because they ship. I especially love these hoops because they are delicate and have that beautiful beading detail. A few other favorites of mine are the Evie Bangle and Tibetan Pendant. Head on over and peep all the well priced gems that will not break the bank. I forgot to mention how cool the back of this dress is. I love the keyhole cut out, but the best part? You can still wear a bra. Jackpot. 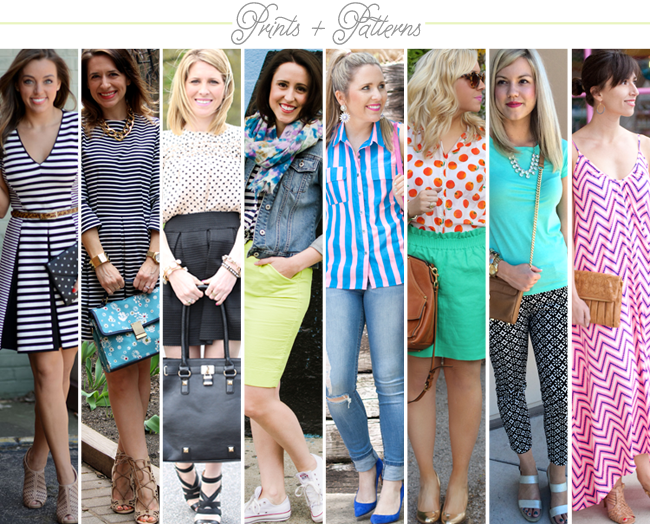 Be sure to check out all the other #BloggersWhoBudget prints and patterns under $100! You can shop my maxi and all my other favorite printed maxi dresses for under $100 below. Come on summer, I am ready for you. I just want your entire wardrobe. That dress is awesome. Perfect print. This dress is absolutely lovely. Simple and beautiful! That dress has such an interesting silhouette. Love how flowy it is! I absolutely love this dress. The print and the cut are perfect! 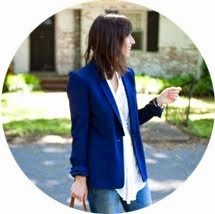 I just found your blog through the Bloggers who Budget link-up, and it's fabulous! I'm absolutely loving this striking maxi dress on you, and the colors are fantastic. I absolutely LOVE this look! That dress looks amazing on you! This maxi is absolutely stunning, you look effortless!